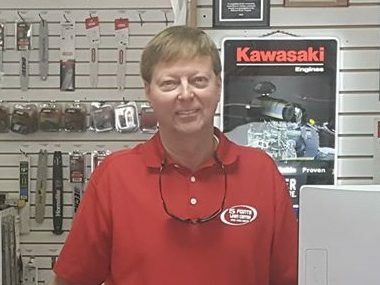 Five Points Lawn Center is a locally family owned and operated outdoor power equipment business, located in Blackshear GA. We specialize in the sale, repair and parts business of lawn equipment and represent some of the finest manufacturers. 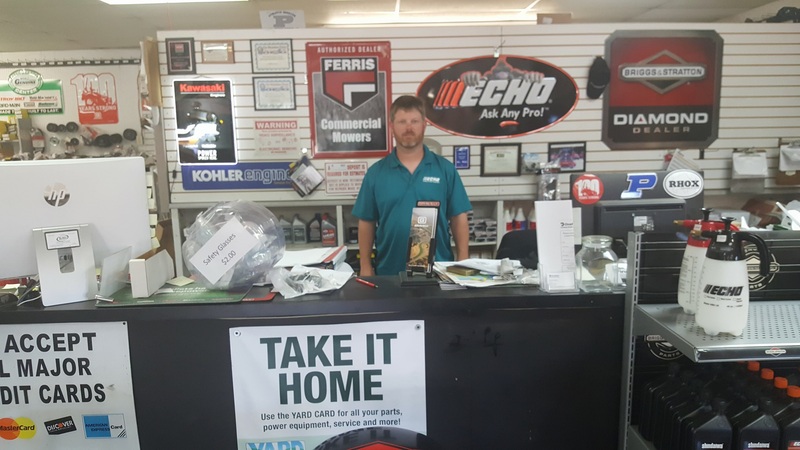 Mike Hughes can help you find the lawn equipment you need to get the job done! 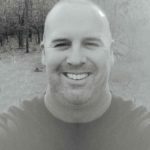 If you are a lawn care professional or a homeowner who needs the right equipment for their property upkeep, Mike will steer you in the right direction. 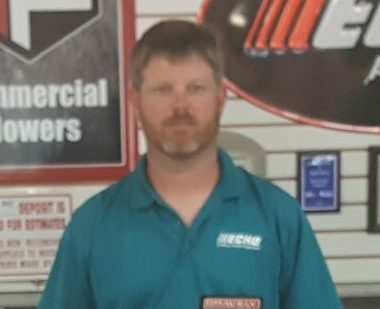 Talk to Michael Hughs at Five Points Lawn Center if you have any questions about your lawn equipment. The years of experience that Michael has is to your advantage. He knows lawn equipment. 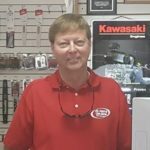 Michael is happy to help you find either the perfect outdoor power equipment or the parts you’ve been looking for. Check out our brochures to see what we have. 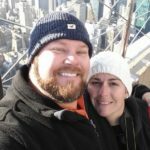 If you need help in making your selection, call or stop in—he’s always ready to help! 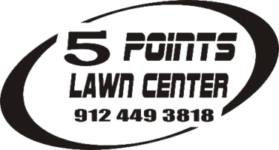 After the sale of any of our many brands, you can be assured you can depend on Five Points Lawn Center to service your purchase. We can instruct you on the best way to maintain your new lawn mower, chain saw or other tool you buy. 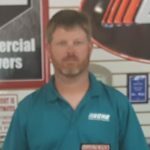 Proper care of equipment and small engines ensures a longer service life and greater usefulness throughout the lifetime of the equipment or tool. We can repair most all lawn equipment, mowers, chain saws, weed eaters, and other tool you may have. We are a certified dealer with all the best known brands. You can count on Five points Lawn Center to do the job right. Bring your equipment in and let us give you a free estimate. 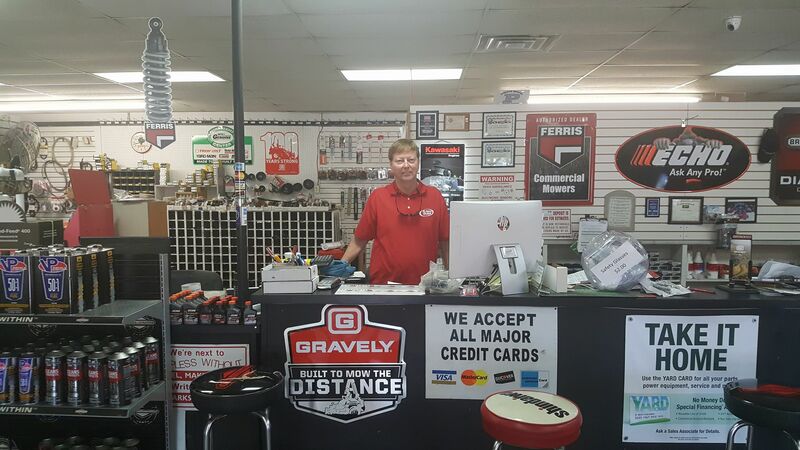 Come in to Five Points Lawn Center for all your part and accessory needs. We carry a full line of large and small equipment and accessories as well as replaceable parts. 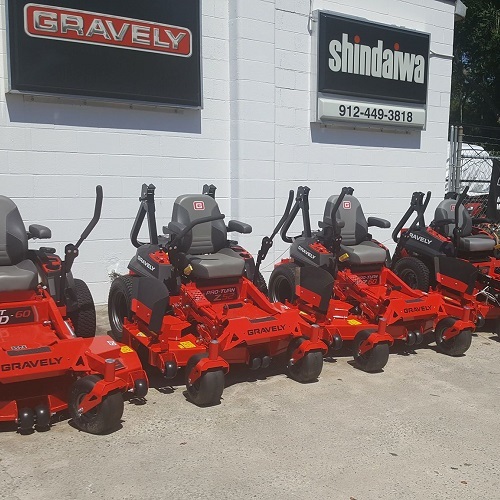 Let us help you keep your lawn equipment in great shape for years to come. We honor all forms of payment, including credit cards, check, or cash. We also offer financing for qualified buyers. Whether you are a professional or a do-it-yourself weekend warrior, Five Points has your machines! Five Points Lawn Center is your home town lawn equipment dealer. 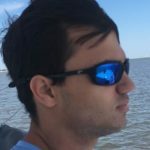 We are always here for our customers in Blackshear and the surrounding area of Southeast Georgia. Come see us for all your lawn equipment needs! Best place around to fulfill all your outdoor lawn and garden needs. Honest folks that shoot ya straight with repairs and great prices. 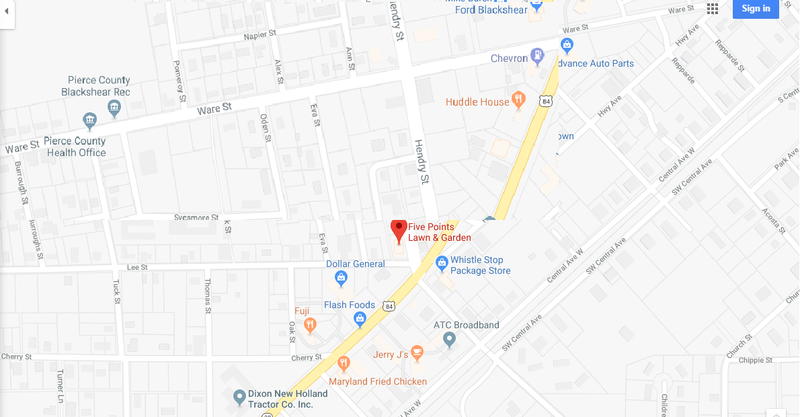 Reviewed Five Points Lawn Center and gave it 5 Stars!